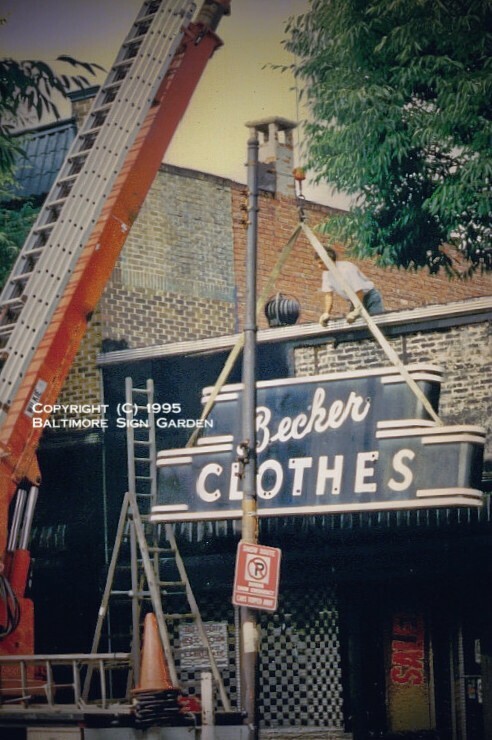 Becker Clothes served men of good taste from its store on Greenmount Ave., in Waverly, for 86 years. 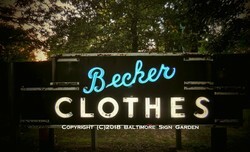 Their 1939 deco sign was a gift from Mrs. Ada Becker when the still profitable store closed in 1995. 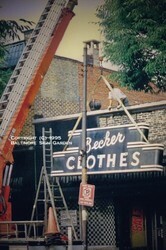 Neon tubes Mr. Becker had removed during the riots of 1968 were discovered stashed under a display window. 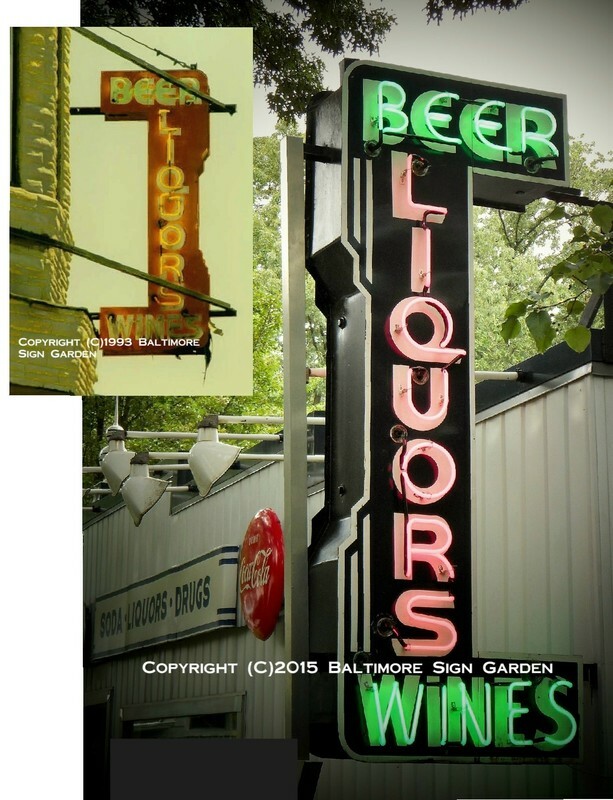 The entire 5' by 16' sign retains most of its original neon, as well as its original animated flasher. Fabricator unknown. 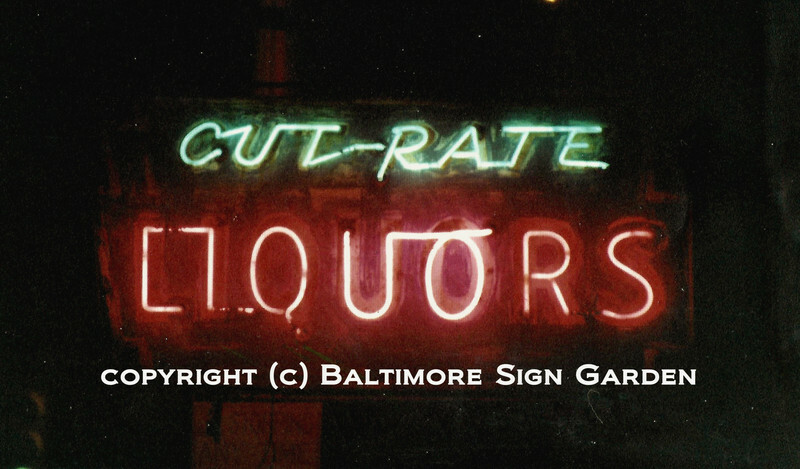 A then common sign around Baltimore, this 6' tall vernacular advertised Curtis Bay Liquors, on Pennington Ave. near Church Street. 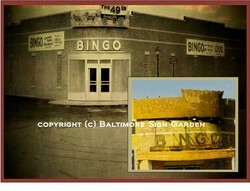 This sign was ordered in 1938 by the former owner who was 105 years young in '08. Fabricator unknown. 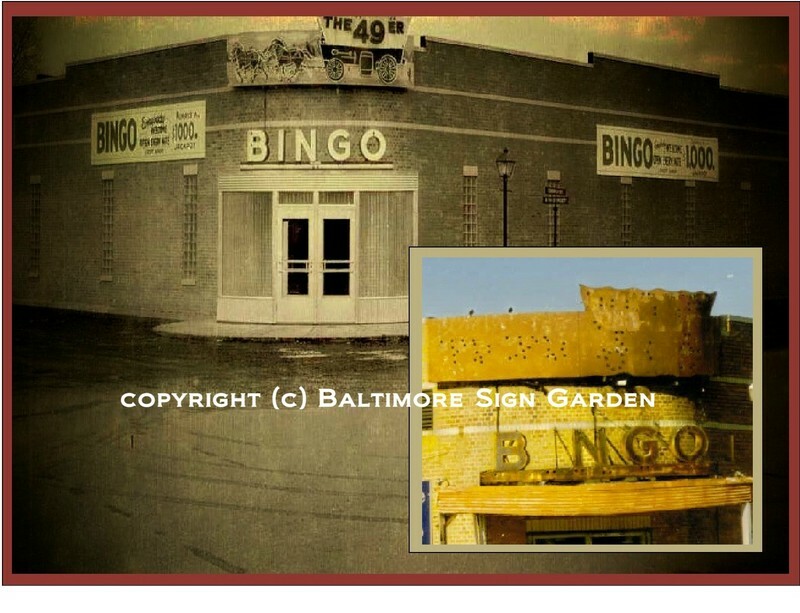 The 49ers Bingo Hall, On church St. in Brooklyn Park originally displayed an ornate neon sign. It featured a chuck wagon with animated wheels. Upon removal, that portion collapsed and could not be saved. The front-lit letters, however were intact and await restoration. Fabricator unknown. This stimulating beauty is one of what was a 4-sided display, hanging over an open stall in the Cross Street Market, south Baltimore. Chasing incandescent lamps scroll in sequence on this 1952 porcelain display. Friese closed around 1999 after a span of over 50 years (minus one year when the original market burned down in 1950). By 2018, Cross Street Market was undergoing a major redevelopment. 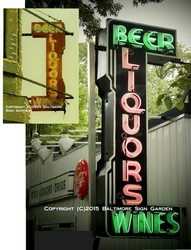 3 vintage neon signs were removed along with their stalls. 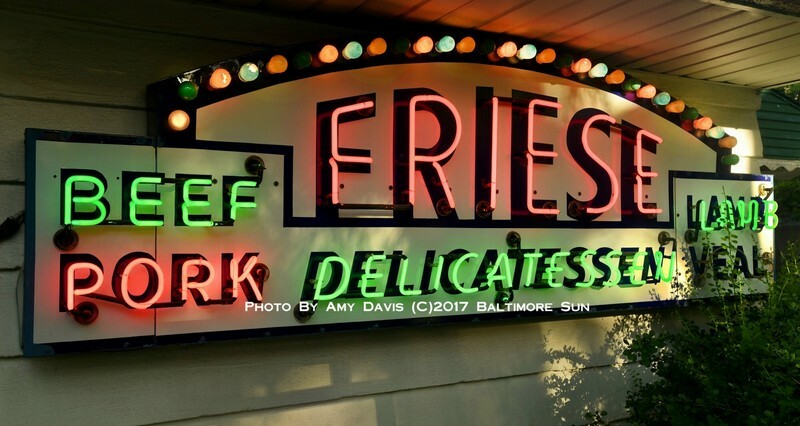 The return of these 3 vendors, and their neon signs to the redeveloped market is unknown as of Aug. 2018. Fabricator unknown. Hanging for half a century over Eastern Ave. and Anglesia St, This vernacular identified what was in its day the side entrance to 'My Brothers Place'. Located near Hopkins Bayview, I replaced it with a backlit version in '02. Built by Triangle Signs.